The capital of the country is teeming with remarkable bazaars, cosy cafes and vibrant bars waiting to welcome eager visitors. There are super modern areas, buzzing with excitement, and old-fashioned locations where time seems to stand still. With so much happening and so many alluring places to visit, Delhi is a dream to experience for energetic young ‘uns seeking a good time. 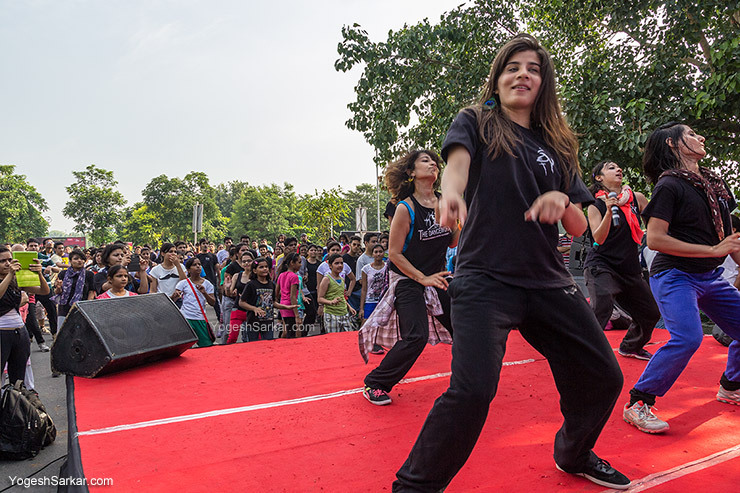 Read our picks of the most fun places in Delhi for youngsters before you head out next. The Indian Mountaineering Foundation Adventures aims to provide the best facilities for adventure enthusiasts in Delhi. The facility has a ton of equipment for enthusiasts to try out, the most popular by far being the artificial climbing wall. 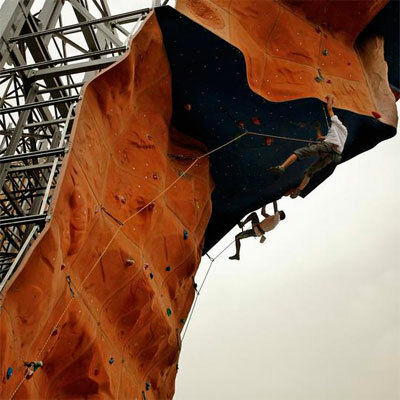 This artificial wall simulates all the thrills and excitement of a real climbing experience. The instructors are all trained and certified to ensure the safety of the climbers. The facility is open all days of the week, except for Mondays. Paragliding is available near Gurgaon for those who don’t want to travel too far out. The paragliding service is provided by Flyboy Aviation, founded by a trained pilot. Besides paragliding, the facility also provides paramotoring safari services. Paramotoring doesn’t require any training and can be availed of by anyone above the age of four. Prices start from Rs. 1500 and goes up, depending on the type of package you choose. Delhi is a mesmerizing city that captivates with its beauty at every corner. A cycling tour through Delhi gives you glimpses of the city that otherwise may go notice. The entire cycling tour gives you a very unique perspective of the areas around. There are many tour companies offering this service, taking you through important roads and landmarks while telling you all about the history and significance. Here, you get the unique combination of fun, learning and exercise . 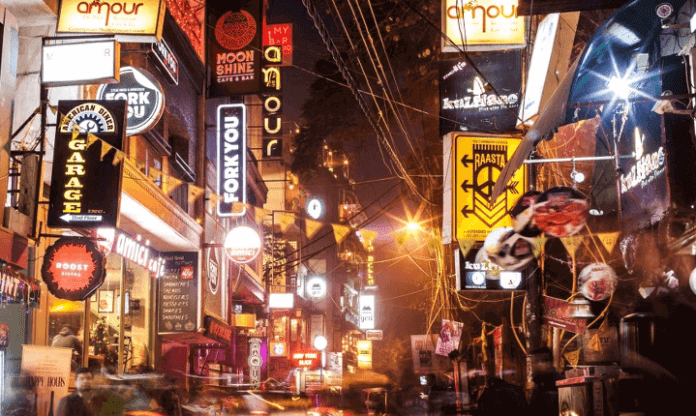 The Hauz Khas Village is definitely one of the most fun places in Delhi for youngsters. Straight out of a fairytale book, the village has a beautiful lake, a deer park, a massive fort and lanes filled with quaint cafes, bookstores and art galleries. Hauz Khas buzzes like a beehive with all its vibrant components constantly in action. If you are looking for fun things to do in Delhi, there’s no better place to spend your day than at Hauz Khas. The village is known for eateries such as Social Offline and Elma’s Bakery. The Daryaganj Sunday Book Market is a must-visit for every bibliophile. The book market opens on the pavements of Old Delhi and is eagerly visited by bargain hunters. This market is usually held on a lane that is approximately a mile long and it is here that you will find books of virtually every genre. Browsing through books can take a while, but it’s all part of the fun. Dilli Haat is one of the best place to experience India’s diversity when it comes to handicrafts. It is a one-stop shop for all handicraft items, from ethnic clothes and curios to furniture and jewellery. The Haat also serves up some delicious Indian cuisine, with foods to represent almost every state in the country. The various food stalls and handicraft marts make Dilli Haat an excellent location to spend the day browsing, buying and eating. This event was started by Times of India in 2013 in an effort to close down streets and encourage sustainable transport. The campaign slogan is ‘Apni Rahein, Apni Azadi’ and the event has become quite famous in New Delhi. This event is conducted every Sunday at various locations through the city. It attracts people from all sections of society who come to watch rock bands playing, dance on the streets and participate in other fun activities. Don’t forget to take your cycle and enjoy the traffic free roads. 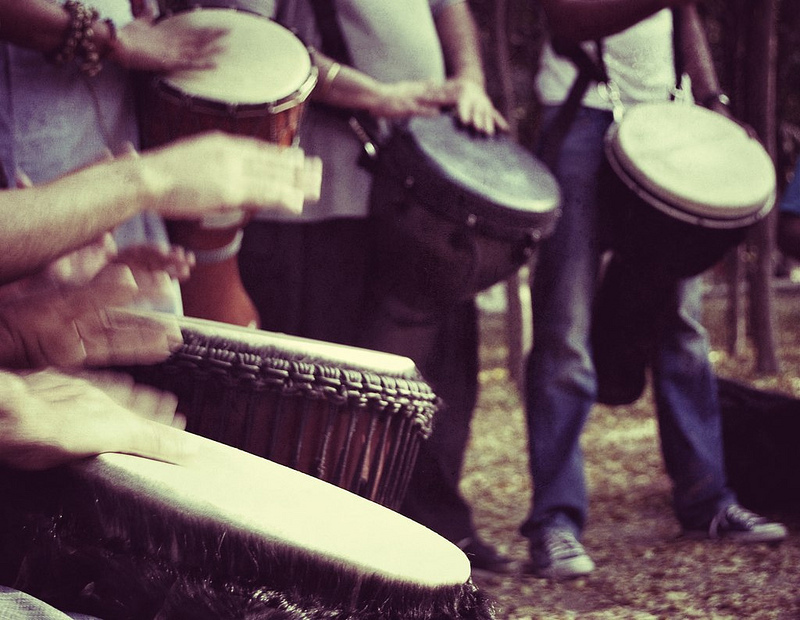 Delhi Drum Circle is an event held for musicians who want to jam. These jam sessions take place every alternate Saturday and everyone’s invited to participate (that is, if you have an acoustic instrument to play along). The entire environment comes alive with the vibrant music that is played here. From soul soothing African tribal music to harmonious Indian tunes, you’ll hear everything at this jam session. Amusement parks are loved by one and all, irrespective of age. Delhi is filled with a large number of amusement parks that will give you your money’s worth. The Entertainment City, for example, is famous for its water slides and pools and is highly recommended by the locals. Or take a ride on the Delhi Eye, modeled after its counterpart in London. 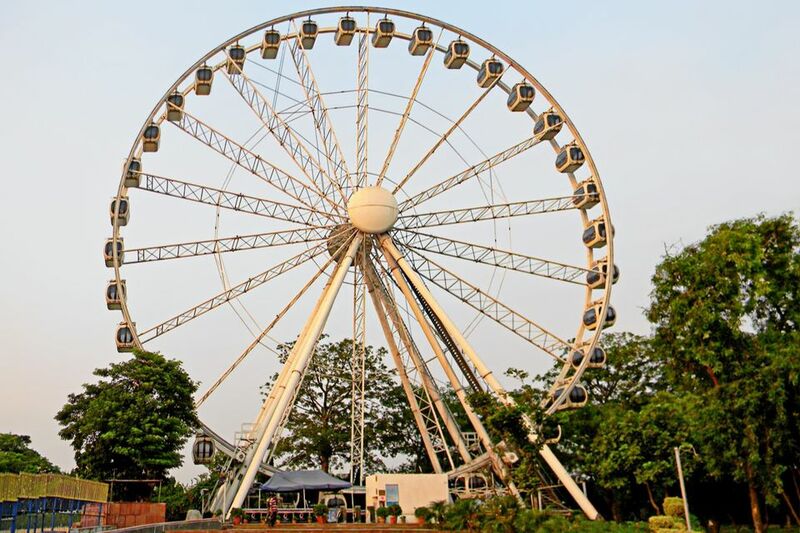 The Delhi Eye offers a panoramic view of the city to its visitors. Location: Kalindi Kunj Park, Okhla, New Delhi, Delhi. Delhi offers an extravagant bar and lounge scene, with visitors flocking to relax and spend time with their friends at the end of a long day at work. The hospitality standards of all the bars and lounges match those of other metropolitan cities. Hauz Khas Social, Hauz Khas, Fork You, My Bar Headquarters, Mocha Arthouse Cafe and Turquoise Cottage are some of the local haunts you can’t afford to miss. The Kamani Auditorium is a top theatre in Delhi. Inaugurated in 1971 by the President of India, the auditorium is aesthetically designed and houses the performances of many national and international plays and dramas. Due to the size and the acoustics of the theater, watching a play here can be quite exhilarating. The auditorium is known for its regal look which adds to the grandeur of the performances here. The Nehru Planetarium is a regular go-to for school trips and picnics but this awesome place isn’t just fun for kids. Anyone interested in science is sure to have a blast here. Spend an entire afternoon learning about the universe, galaxies and the many secrets of space. The planetarium conducts space shows in Hindi as well as English and each show typically lasts for about half an hour. At the National Gallery of Modern Art, you can spend an entire day marvelling at the contemporary art that has been housed here. The collections of paintings and sculptures will leave you mesmerized. The gallery showcases the works of famous artists such as Rabindranath Tagore, Jamini Roy, Amrita Sher-Gil and Thomas Daniel. There is over 12,000 square meters of exhibition space making it one of the world’s largest modern art museums. The HoHo Bus tour is a great way to visit famous destinations in the city. A really fun thing to do in Delhi, this purple bus is easily distinguishable. The bus provides a ‘hop on and hop off’ service, where you can get on and alight at any given locations. The tour covers approximately 19 major attractions in the city but you can get off at whatever place catches your fancy to explore if you like. Pigeon racing was popular with the Mughals who once ruled the city. The sport, also known as Kabootar Bazi, is still held in the lanes of the old city and adheres to the Moghul traditions. Pigeons are specially trained through whistles and gestures to obey certain commands that will help them navigate through the race. The entire sight of guiding and tracking the pigeons is a spectacle to behold. The Jantar Mantar is a massive building with sub-structures that were used to make astronomical observations. The building was commissioned by Muhammad Shah, a Mughal emperor, but it was actually built by Maharaja Jai Singh II of Jaipur. The building houses thirteen different instruments that were used for astronomical observations. The structure of the building resembles a maze and it is easy to get lost or disoriented. The Lalit Kala Akademi is an institution that aims to encourage and promote various creative art forms. The institution encourages the study of sculptures, paintings and graphics and is an interesting place to visit and get inspired. It also recognises artists and art associations for their outstanding achievements in their respective fields. Location: Lalit Kala Akademi Rabindra Bhavan, 35, Ferozeshah Road,New Delhi. The Dargah is dedicated to one of the world’s most famous Sufi Saints: Hazrat Nizamuddin Auliya. The Dargah adheres to the philosophies of Sufism, which teaches freedom of expression. This is propagated through poems and astounding performance art. Qawwali is an example of such performance art. If you feel like straying away from the usual modern music that rocks most of New Delhi, pay a visit to the Dargah and listen to some soulful qawwali music. There are a million fun places to visit in Delhi for youngsters to enjoy themselves, from adventures and arts, to shopping and tours. Pick and choose what excites you most from our list above and let us know your thoughts in the comments below.